Handmade Sterling Silver Bangle Bracelet from Indonesia, "Simple Perfection"
Indonesian artisan Komang Suastra handcrafts this captivating bracelet. 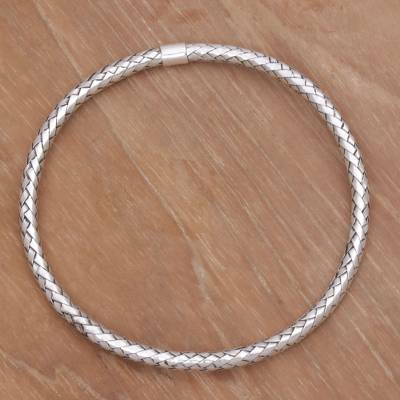 To create the design, the artisan weaves slender strips of sterling silver, which gives the bangle a unique, basket-like appearance. "Good quality, but though was hinge braceletE loked"